Home Topics Project-Based Learning Does Your Teaching Have the 4 Categories of High Quality PBL? 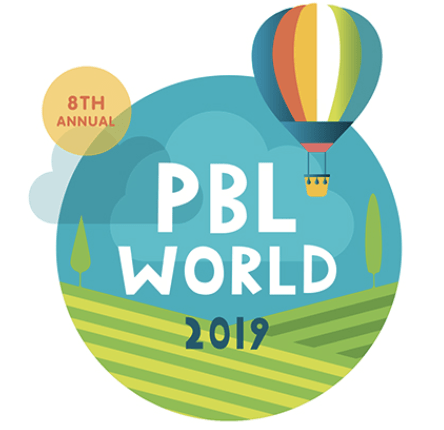 Project Based Learning (PBL) is increasingly recognized as a powerful instructional practice, both in the United States and around the world. More and more educators are trying to use project-based methods to engage their students toward meaningful, deeper learning. Currently, there is no collectively-developed, widely-accepted high-quality PBL Framework to guide aspiring educators. A team of educators from around the world is working to fill that void and is creating a Framework for High Quality PBL (HQ PBL). The goal of the HQ PBL project is to collaboratively draft, iterate upon and ultimately share a framework that can be used by educators to inform and improve their PBL practice, professional development and projects. The HQ PBL team is seeking potential school case study sites to highlight in the final draft of the Framework. Know of a school that demonstrates HQ PBL purposes, processes, products and/or principles (see more on the 4 categories below)? Encourage them to fill out the following form by June 28th. Teach academic content knowledge and skills, and develop deeper understanding. Help students gain confidence for meeting new challenges in school and in life. about what they need to learn and create, in an ever-deepening cycle. effectively from the beginning to the end of a project. sometimes other experts), who facilitate the project to the extent necessary. The result of students applying their learning to achieve project goals and demonstrate knowledge, skills and understanding. Made public so that others beyond the classroom can give feedback for improvement, see the results of the project and hear students reflect on what they did. Improved and evaluated by the use of balanced assessment practices that include teachers and other experts, peer and self-assessment, formative and summative assessment, content and success skills, and process as well as products. Educational equity, which means each learner gets what they need to develop to their full academic and social potential. All students deserve access to HQPBL. explore issues and topics relevant to students’ interests, cultures, and identities. and how they complete the project, and develop a growth mindset. Stay tuned for more posts on the 4 categories, where we will unpack each one and provide examples from schools around the world, and be sure to complete the inquiry form if you are interested in participating as a case study for the HQ PBL project. Next articleHow Does Wrap-Around Leadership Inspire Lifelong Learning in Principals?